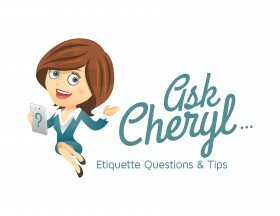 In today’s AskCheryl post, a reader wants to know if it’s appropriate for the bride’s boss to give her a bridal shower and invite the bride’s co-workers that were not invited to the wedding. I have a question for you. One of the young women at my office is getting married in June and our office manager has decided to throw her a surprise bridal shower potluck. I’m not sure if the office manager was invited to the wedding, but I definitely was not and suspect that many, if not all, of the guests were not either. Please advise me as the correct response to this. If I say something, I have a feeling I will be ostracized by people who will think I’m too uptight, mean, stuffy, etc. She’s a very nice girl, and I might wish to give her a modest gift on my own, although with this crowd they have a propensity for going “over the top” with any celebration. 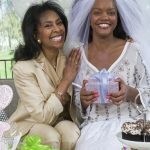 So tell me, is it appropriate for the bride’s boss (who may or may not be invited to the wedding) to give her a work shower? And if not, how do I respond? Thank you so much! The “office shower” is now the one exception to the rule that anyone invited to the bridal shower must also be invited to the wedding. These “showers” are usually held at work or immediately after, and co-workers contribute to a group gift so it’s not a big time or financial commitment. For those co-workers that want to extend their good wishes to the bride and groom, this is a great way to do that. 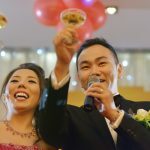 Most co-workers understand that the couple usually can’t invite everyone at work to their wedding. However, it may not be appropriate for your boss to plan the shower. 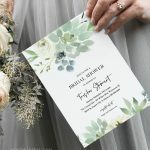 That could put undue pressure on the bride’s co-workers, but it’s hard to say because it would really depend on your office environment and reporting structure. Unless you are consulted, I wouldn’t say anything. You could offer to be in charge of buying the group gift so it won’t get out of hand. Or, it’s totally acceptable and understandable to say, “I can/will contribute this much to the group gift.” You should not be forced to give more than you wish. I hope this was helpful. As you said, “She’s a very nice girl,” so enjoy celebrating her, and “grin and bear” the rest. 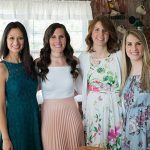 If you have questions or comments about gift giving, bridal shower, baby shower, or wedding etiquette, please comment below or email AskCheryl@RegistryFinder.com. My coworker got married 2 weeks ago. She didnt invite me or I dont think anyone really from the office but it is understandable given that it can get costly. Anyway, I thought of maybe organizing a small party (I dont think I would call it wedding shower as it is 2 weeks late). The reason why I am planning it now is because another coworker who might be able to help me out was on vacation and is now back. Do you think it is too late for a party – just cake and a small gift? Or will the intentions be appreciated? I think it would be fine to celebrate your co-worker’s wedding. I’m sure she doesn’t expect any type of gesture, but I don’t think it’s too late. I’m sure your thoughtfulness would be appreciated. You mentioned a party. Were you thinking of something done in the workplace or at another location? I agree that you should not call it a shower. I recommend that you talk with your co-workers to see if they are interested. If you decide to go ahead, I suggest a small work party – as you mentioned with a cake and small gift. Possibly take up a collection and get something left on her registry or a gift card to her favorite store. Let me know how it goes.